The Fringe is awash in autobiographical solo shows, but Jon Bennett’s Fire in the Meth Lab stands out because of the perfection he brings to the genre. In this play that premiered in Melbourne, Australia, in 2013, Bennett tells what it was like to grow up with an older brother who eventually became a meth addict and was sentenced to jail. Taking the form of an illustrated lecture the show presents itself as an inquiry into how Jon’s brother Tim reached such a low point. Bennett finds that things were not right from the very beginning because Tim constantly bullied him at home as well as being the main bully at school. Bennett divides his brother’s life into six addictions. The first was an addiction to Australian actor-turned-pop star Jason Donovan, whom Bennett calls with his particularly wry humour a “poor man’s Rick Astley”. Tim was so into the star that he got a Jason Donovan board game called Straight from the Heart that he forced Bennett to play knowing Bennett would never win. Players who can answer the most questions about Donovan win, and Bennett punctuates the show with a series of the inane questions from the actual game. Tim’s next addictions were Jesus, marijuana, alcohol, psychedelics and meth. The Jesus addiction leads Bennett to tell what it was like growing up in a strictly religious household with a Pentecostal minister for a father. His main story concerns going to church camp where Tim was viewed as so disruptive that he underwent an exorcism. Bennett’s narration of his brother’s descent in life is told with the type of humour one can only use after after the worst is over. At the end we learn that Tim is out of prison and has found Jesus again and lives with his parents. Until Bennett tells us this he narrates these incidents that would be horrible to experience with a wild sense of humour as if humour were really the only way of coping with them. Bennet is a master of telling stories with such command over mood that he can have us laughing uproariously one moment and stop us dead in silence with a serious remark. Bennett’s manner of delivery seems to be completely off the cuff although the preordered series of projected photos and video clips belies this. Bennett’s story about his brother has multiple layers. While Bennett claims he is trying to discover what made Tim the way he is, his look at each of the six addictions reveals less and less about what might have caused Tim’s worsening behaviour. Bennett’s parents may have been strict and religious but they were also loving, so it is hard to see Tim’s behaviour as a reaction to them, especially when Bennett himself, despite his own hilarious experiments with drugs, turned out to be the lucid storyteller before us. The result of Bennett’s exploration is that there is no explanation for why his brother turned out the way he did. This leads Bennett to conclude on the serious note that addiction should be treated as a medical rather than criminal matter. This notion reflects another layer of Bennett’s story. As much as Bennett relates all the bullying he received from Tim and all the harm Tim did to others and himself, Bennett can’t disguise through all this that he loves his brother. 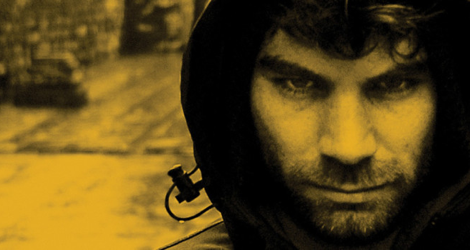 Bennett’s investigation into Tim’s addictions thus becomes an investigation into why his love for Tim managed to survive so many incidents that should have ended it. The cause of addiction may be a mystery but so is the cause of fraternal love – a kind of addiction that may redeem all the others. The naturalness of Bennett’s storytelling hides its art just as his self-deprecating humour hides his significant power as a storyteller. Purporting to present life in a simple way, Bennett actually reveals just how complex it is. And this, ultimately, is what sets Bennett’s show so far apart from other autobiographical shows. Photo: Jon Bennett. ©2015 2Hoots Productions.